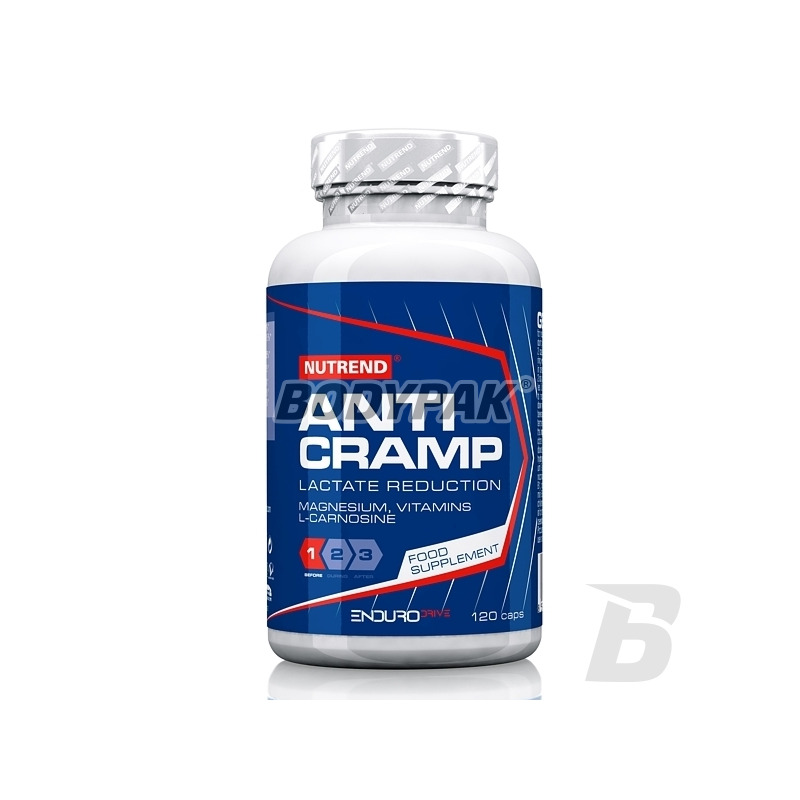 Vitamins & MineralsNutrend Anticramp - 120 kaps. 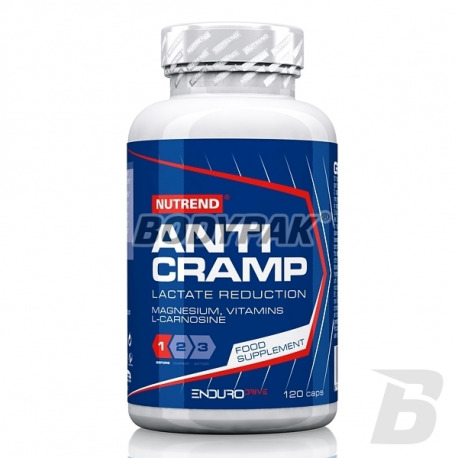 Nutrend Anticramp - 120 kaps. Used in the preparation of minerals - Na, K, Ca, Mg, Cl, P - przyswajlnych preferably present in forms and proportions. B vitamins support the energy generation to work the muscles. Calcium pantothenate (vitamin. B5) prevents muscle cramps. Sodium and phosphorus połączniu of L-carnosine faster elimination from the body of lactic acid. The extract from the bark of the white willow (white willow bark), containing natural salicylates, regulates body heat. Reduces the risk of overheating during exercise. 2-3 caps. About 40 minutes before exercise. 2-3 caps. In the morning on an empty stomach. Najbardziej potrzebne minerały i witaminy z grupy B zawarte w jednym produkcie - bardzo wysoka jakość!